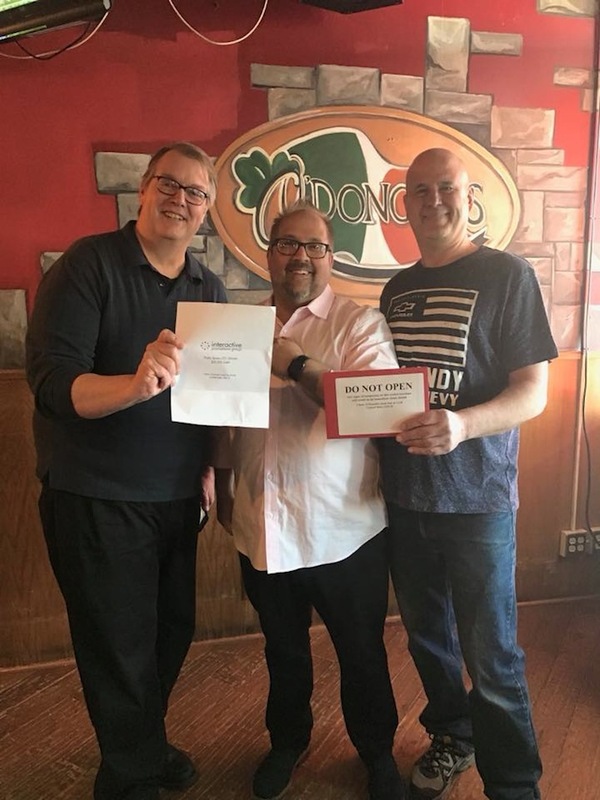 Christian Rinehart, owner of O’Donold’s Irish Pub, and Andrew Hospodar, sales representative for Spitzer Chevrolet Lordstown, recently named Andy Gray of Niles as the winner of the Lucky 15 St. Patrick’s Cruze Giveaway. Gray was one of 15 finalists who bought chances to win. The raffle was sponsored by Spitzer Chevrolet Lordstown, which provided the car, and Chase Insurance, which is awarding Gray with a complimentary year of insurance coverage. Proceeds from the raffle benefit the programs of the Rescue Mission of Mahoning Valley. Above, from left, are Gray, Rinehart, and Hospodar. June 17, 2008 11:59 a.m.
October 15, 2014 11:13 a.m.
December 11, 2010 12:15 a.m.